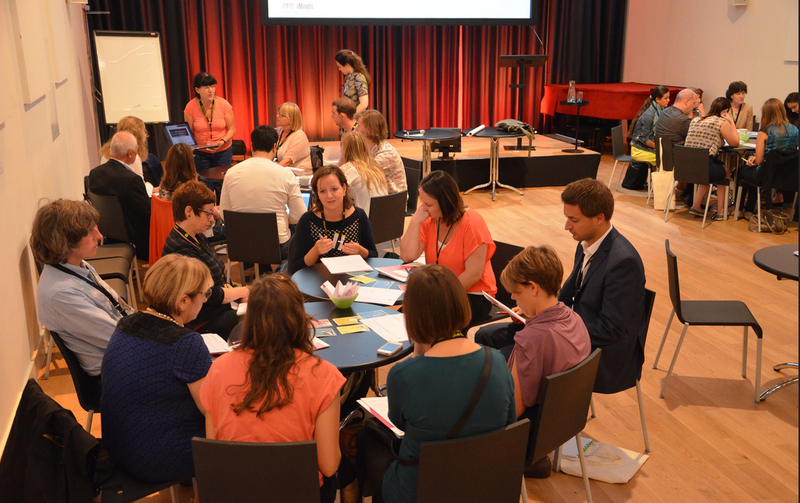 One of 80 meetups designed to engage community in co-creating Puglia’s future. The City of San Leandro has been the focus of a group of young grad student/innovators visiting from the city of Puglia, Italy this month. 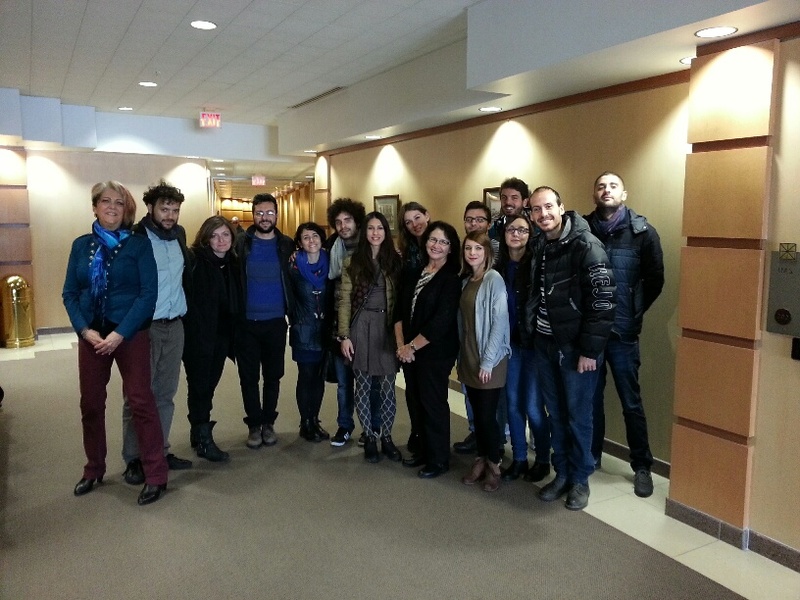 Faced with a high unemployment rate in Italy that is hitting their youth particularly hard, this group of 14 young professionals are actively engaged in understanding the processes of change and innovation through direct engagement with their community, which has resulted in their activating an empty building into an incubator project called Puglia Smart Labs. While we in San Leandro have successfully initiated change through Public Private Partnerships (including Lit San Leandro), these young people are engaged in Public Private People Partnerships! This means creating ongoing opportunities for dialogue and participation with members of the community to find out what change is actually desired and providing people with the opportunity to have a role in that change. Of course, there is no place better to examine innovation than the Bay Area. Acting as their guide and mentor, Greg Delaune of UIXGlobal toured this group through a variety of Bay Area innovation ecosystems during the entire month of February. We were delighted in their decision to focus on San Leandro’s rapidly growing tech and innovation ecosystem. This focus resulted in a bus tour of San Leandro earlier this month, including City Hall (where this picture with Mayor Cutter was taken), The Gate, the Marina and Bayfair Shopping Center . The group was fascinated with the unused roof above Macy’s (where we’ve developed 2 Out of the Box events) and the virtually empty 2nd floor of the Bayfair Center. 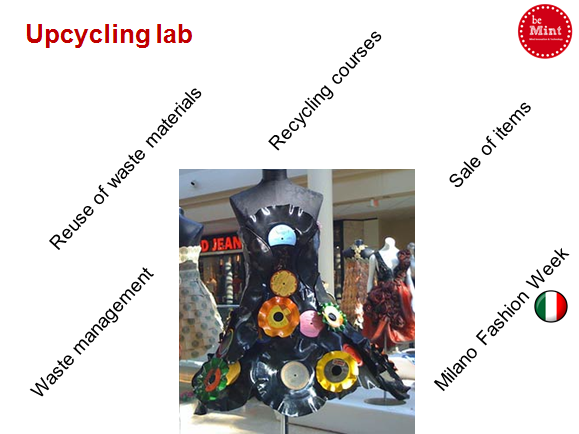 We asked them to imagine new uses for these spaces. Creating a center for a variety of creative arts. 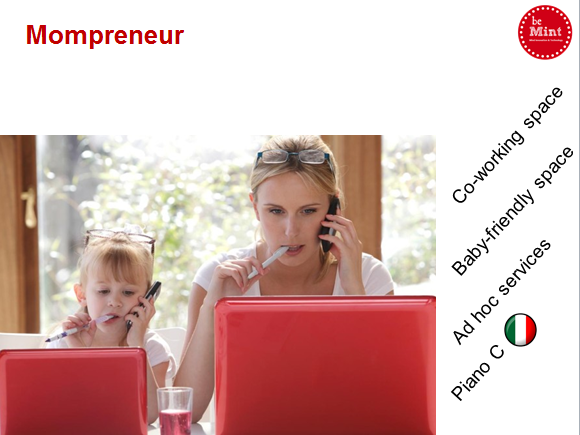 A family-friendly place that enables women who are mothers to explore new horizons. 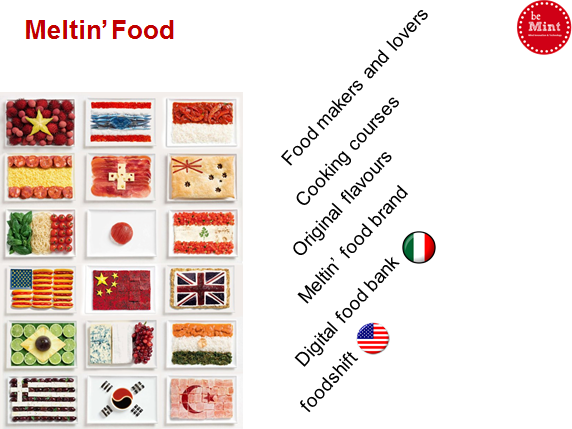 A focus on entrepreneurship and sharing around all-things food! 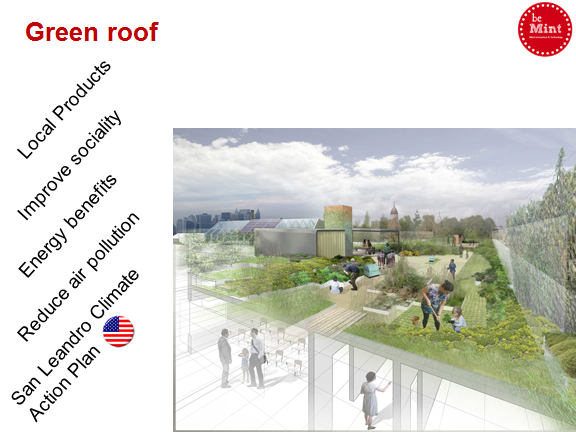 Build a Green Roof – Community Garden, outdoor event venue, etc. 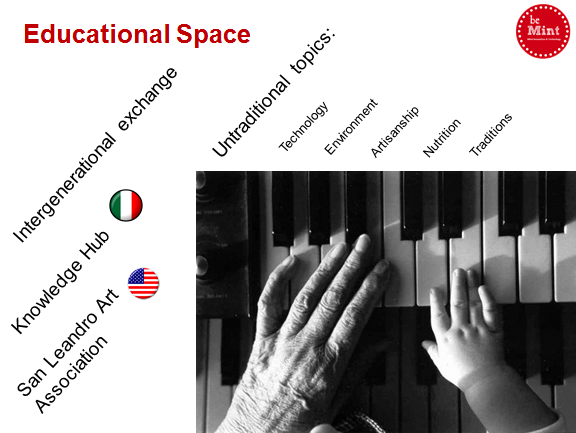 A place that can bring together San Leandro’s diverse communities for learning and engagement. 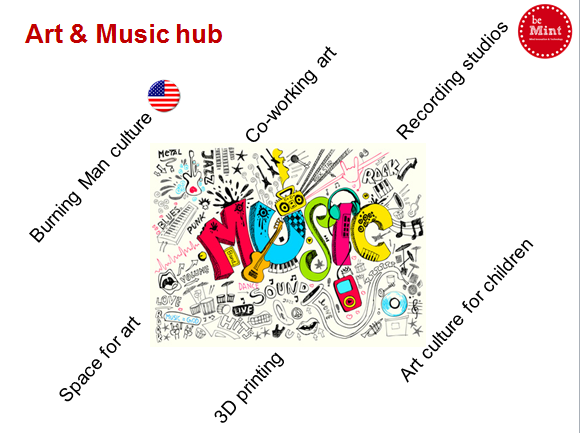 Building an innovative place for music — teaching, learning, creating and performing. 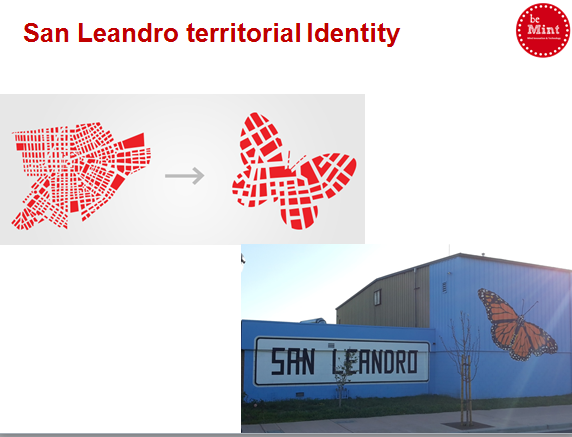 The presenters stressed the importance of cultivating an authentic identity for San Leandro — who are we in addition to a City that Makes Things? Mayor Cutter invited us to explore the potential of creating a Sister City relationship between the City of San Leandro and one of the cities represented by the visiting innovators. Puglia? Milan? We all agreed that there was much room to deepen our mutual exploration of each other’s cities and journey of transformation. What will happen to these ideas? 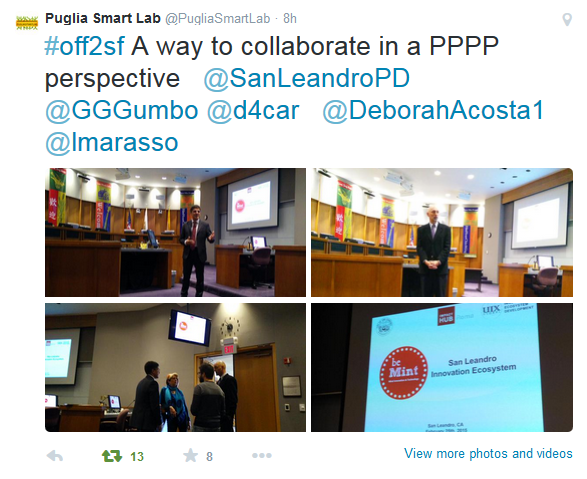 Stay tuned…..
And for more great pictures about today’s presentation at City Hall and to follow their journey, check out Puglia Smart Lab’s Twitter page.